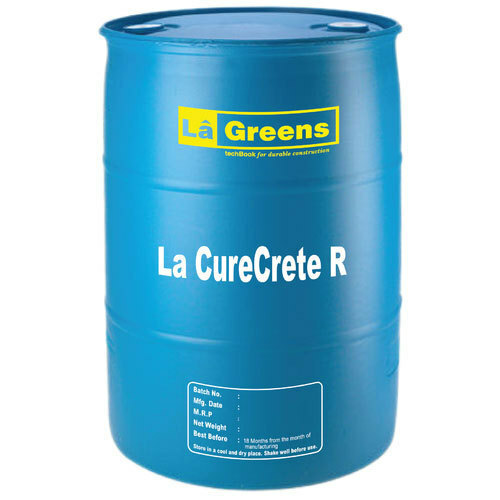 Catering to the requirements of our clients, we are involved in offering Resin Curing Compound. Lagreens India Pvt. Ltd., one of the excellent manufacturers in Rajaji Nagar, Bengaluru, Karnataka, is aiming the Indian market for expanding its products sales. Being a reliable manufacturer since 2013, we always try to put all our efforts towards rendering utmost clientele with our technically advanced merchandises. The ranges of products in which we remarkably deal in are Waterproof Coating, Concrete Admixture and many more. Our experts thoroughly scrutinize these outsourced merchandises in adhere with set quality standards.